Recently German SAT1 television broadcast a documentary on the state of the European and German increasingly green power grid: “How secure are our power grids?” Due to the volatile and unpredictable supply of wind and solar energy, the grid has become far more unstable, the documentary warns. The news is not good. At best, the consumers are getting a far lousier product at a much higher price. At the 17-minute mark, Bernd Benser of GridLab-Berlin tells viewers that while grid operator Tennet had to intervene only 3 times in 2002 to avert grid instability, last year he says the number was “over 1000” times — or “three times daily”. These intervention actions, known as redispatching, cost the consumer about a billion euros last year alone, says Benser. The SAT 1 voice-over warns that more power transmission lines are urgently needed if the Energiewende is to avoid “becoming a sinking ship”. However over the years acceptance by citizens has swung from a generally warm welcome to ferocious opposition. Politicians need to start noting that green energies have overstayed their welcome. These fluctuations in the system that we now see have increased dramatically and are ultimately a product of weather events. The fluctuations are having a profound impact, Kaschnitz explains. It is especially difficult to keep the grid at 50 Hz frequency, which makes keeping the grid from collapsing harder and the powering of modern industrial systems highly challenging. At the 25-minute mark, the report then switches the focus to the grids’ vulnerability to hackers. 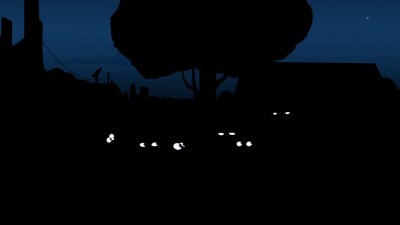 Also the Swiss online Baseler Zeitung (BaZ) here reports on major power grid woes in Switzerland, warning: “The danger of a blackout is rising” and that power grid operator Swissgrid “must intervene increasingly more often in the power grid”. According to the BAZ, in 2011 Swissgrid had to intervene only twice over the entire year. But since then the grid has become far more unstable, and that at the current rate it will be necessary to intervene 400 times in 2017! 2) power that is far more expensive. In a nutshell: Far less quality for a lot more money. That’s the expected result whenever you have the wrong people (activists and politicians) deciding how to run complex technical systems. OK, hands up, all those still in favour of wind & solar? 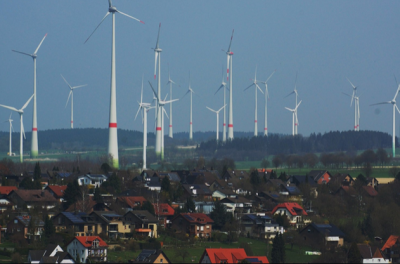 In rural Ontario, a landowner who fairly recently came from Germany and gloated over the fact that industrial scale wind is “everywhere in Germany”, has ruined the sense of safety, security and pleasure in their homes, of many families nearby who owned residential, recreational and even farm land. In some cases these people had been stewarding their land and happy in their homes for forty years or more. This farmer greedily signed leases to put as many turbines as he could on his parcels of land. A short time after the turbines started running, he moved his wife and 3 children out of their farm house. I suspect it was because of the turbines that surrounded it and the impact it was having on them. Having signed a gag order, we will never know. He then tried to rent out that farm house! Expense and unreliability are not a bug of this green dream, they are an intended feature. They are probably muddling through thanks to interconnectors to countries with more reliable electricity generation like France (nuclear) and Poland (coal), but with existing policies things are bound to get even worse. En France : démantèlement du nucléaire: décision de fermer 17 réacteurs soit 1/3, très nette accélération du déploiement éolien et des centrales à gaz, projets éolien offshore énormes. Manipulation de l’opinion publique dans les médias : articles et spots télévisés fréquents et systématiquement favorables à l’éolien, promotion dans les écoles. L’agence publique de l’etat (Ademe)- la ligue de protection des oiseaux(LPO)- l’Académie de Médecine – etc etc – justifient l’éolien. Elus locaux avides, élus régionaux et nationaux décident du saccage des territoires et du littoral sans débat et sans contre-pouvoir: ceux-ci sont confortés par opinion publique (encore) très favorable. In France: dismantling of the nuclear power: decision to close 17 reactors ie 1/3, very clear acceleration of the wind power deployment and gas power plants, huge offshore wind projects. Manipulation of public opinion in the media: articles and TV spots frequent and consistently favorable to wind, promotion in schools. The state public agency (Ademe) – the League for the Protection of Birds (LPO) – the Academy of Medicine – etc. etc. – justify wind power. Greedy local elected representatives, regional and national elected representatives decide to sack territories and the coastline without debate and without counter-power: these are supported by (still) very favorable public opinion. Could corruption explain a lot of this folly, at least partly? Could suchlike be exposed by a press/police investigation? Why were pilot studies of efficacy/safety not done, worldwide? The oil and gas industry loves renewables because they destroy the market for coal and nuclear baseload power plants, and lock in natural gas as a backup fuel. The industry also does a lot of advertising in the media and makes significant contributions to political campaigns. Connect the dots. It is time for this to be considered a crime. Daniel, would you mind giving us your comments in English, as well as French? Ce qui est formidable pour les élus c’est qu’ils décident d’investissements colossaux sans aucun budget. Cela leur procure des rentes sans aucun investissement: c’est un système pervers. Pour les administrés, le réveil sera très douloureux lorsqu’ils devront régler les généreuses subventions. What is great for elected officials is that they decide huge investments without any budget. This gives them rents without any investment: it is a perverse system. For the citizens, the awakening will be very painful when they will have to settle the generous subsidies.